Lesson 24 – Whose interest? In no situation that arises do you realize the outcome that would make you happy. Therefore, you have no guide to appropriate action, and no way of judging the result. In applying the idea for today, name each situation that occurs to you, and then enumerate as many goals as possible that you would like to be met in it’s resolution. In this situation involving.., I would like… to happen, and …to happen. If these exercise are done properly, you will quickly recognise that you are making a large number of demands of the situation that have nothing to do with it. I found today’s lesson the most challenging to date. I thought of my situations, looked at the outcomes I was expecting and only on one occasion did I feel that I was a little over expectant on the hoped for goals. I seemed to be getting through the day fine, till I did the practice sessions, which, frankly, left me feeling worse than before I started. Instead of focusing on all the great things happening in my life (like writing nearly 4000 of my novel) I found myself focusing on all the negative unresolved issues. 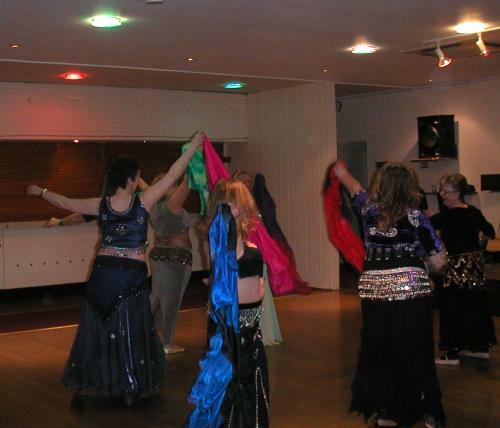 Like tonight being the last night of my regular belly dance class, (see pic above) and the hassle of having to find another class miles away, like issues with tenants, with my children. These are things that I would normally take in my stride, now, being asked to focus on them, and telling myself that I don’t know what’s good for me really messed with my head today. Hope tomorrow is better!! !